It sure feels like the long awaited headwinds have arrived and the tailwinds are behind us for now. A friend sent me this chart today. 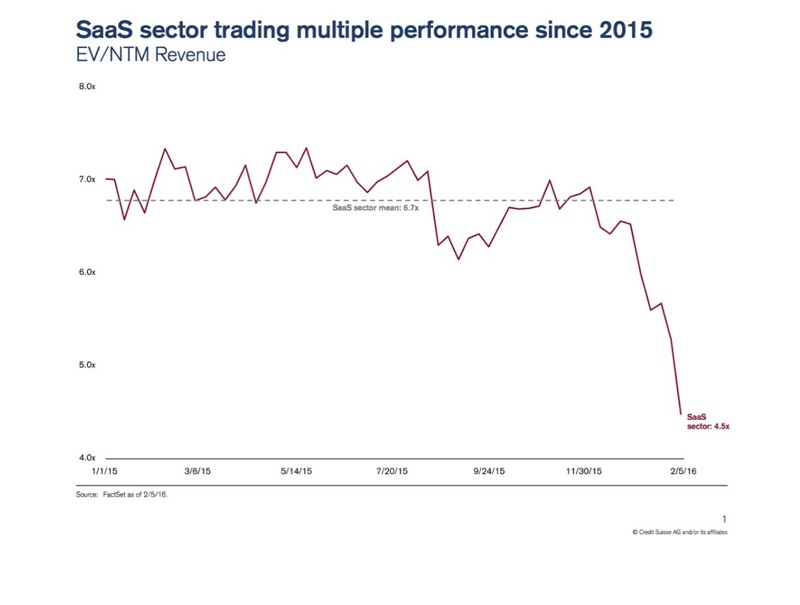 You could create a similar chart out of many tech sectors right now but SaaS is as good of an indicator of what’s happening out there as any. I welcome this new environment. You might think “of course you do, you can buy things less expensively” but I would remind you that USV has a portfolio of investments that are unrealized at this point and subject to a chart like that. I think any benefits we might get from a better buying environment are negated by the impact on our current positions. The real reason I welcome the tougher environment is that it will make all of us better. We will have to make better decisions. The market won’t bail us out. We will have to earn our returns instead of being handed them. And I’m not just talking about investors. I’m talking about everyone working in tech startups. The going is getting tougher. Time for the tough to get going.